Scientists have discovered what could be the latest breakthrough in autism. It was revealed in a recent study that the cause of autism might be the result of too many synapses or brain connections. These excessive brain connections are said to create communication problems within the nervous system. According to the neuroscience department head at the Washington University School of Medicine, Dr. Azad Bonni, too many brain synapses can create miscommunication with the neurons, and this is what causes some problems in learning, although it’s not yet clear how. How is the RNF8 gene linked to autism? The issue is rooted in a malfunctioning gene found within the brain cells known as neurons. This is called the RNF8 gene which is responsible for regulating the connections between neurons which are also called synapses. These synapses allow communication to take place between neurons. When the gene malfunctions, an excessive number of synapses form and they overload the entire system, resulting in a confused brain. 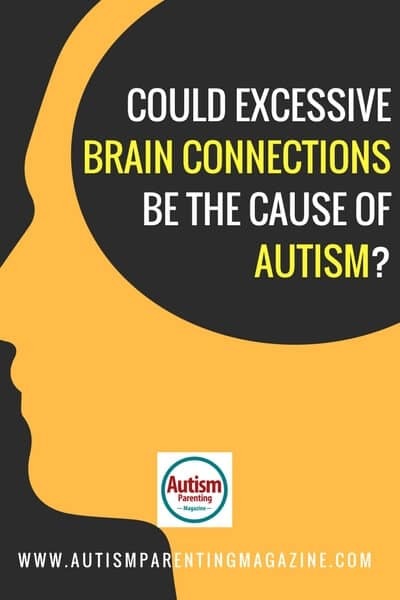 Scientists believe this to be one of the causes of autism spectrum disorder (ASD) which is a neurodevelopmental condition that affects one in every 68 individuals in the US alone. This condition is often characterized by difficulties in socialization and communication. For many years scientists have also considered genetics and environmental factors as contributing factors. The researchers in the study observed the synapses in action upon removal of the RNF8 gene from the cerebellum of rodents. The cerebellum is one of the areas of the brain affected by autism, and it’s where a person’s motor skills and cognitive functions such as language are controlled. Neurons found among those rodents created 50 percent more connections at work with other cells. According to the Washington University School of Medicine, the scientists had the chance to measure the higher intensity electrical signal that entered the cells as soon as the connections increased. The rodents with missing RNF8 gene did not have motor issues, but they had problems learning new motor skills. Bonni opined more work is required to determine if this hypothesis applies to humans. If such is the case, then it’s time to develop ways of controlling the synapses. Several genes have been linked to autism. Among them, six are called ubiquitin ligases. Their function is to attach molecular tags which are known as ubiquitins to proteins. The genes serve as sort of “managers” that tell their “employees,” the rest of the cell, to deal with the tagged proteins. They are the ones that will either discard them or bring them to a different area of the cell. Scientists believe that people with autism undergo gene mutation which prevents one of their ubiquitin ligases to work well. The published study in the Nature Communications journal questions the significance of controlling the excessive synapses from forming in between neurons. It also suggests that through controlling the excess synapses, it can be prevented from connecting with the brain cells for no apparent reason, in the case when no new skill is learned. This can also offer methods of fine-tuning connectivity within the neurons upon formation of the synapses. Scientists have also been discussing genes that seem to enhance brain power which are related to autism. In fact, earlier this year, a different study was done which revealed that genetic mutations linked to autism might be passed on from one generation to another. They are known to survive the evolutionary process which is intended to root out the negative genes. This happens because the genes that cause autism among people are the same ones that enhance their cognitive abilities. Bonni and his colleagues continue to test other autism-linked ubiquitin genes. Inhibition of all the genes that have been tested triggers an increase in the number of synapses that take place in the cerebellum.